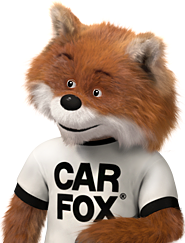 This CARFAX Vehicle History Report is based only on information supplied to CARFAX and available as of 11/13/18 at 4:01:33 PM (CST). Other information about this vehicle, including problems, may not have been reported to CARFAX. Use this report as one important tool, along with a vehicle inspection and test drive, to make a better decision about your next used car. 07/07/2015 12 Keeler Motor Car Co.
07/14/2015 250 Keeler Motor Car Co.
07/22/2015 Keeler Motor Car Co.
08/12/2015 701 Keeler Motor Car Co.
05/11/2016 6,464 Keeler Motor Car Co.
07/27/2016 8,572 Keeler Motor Car Co.
08/02/2017 8,685 Keeler Motor Car Co.
03/10/2018 17,171 Keeler Motor Car Co.